Want to add thumbnail images as your WordPress slider navigation? Does your slider look good on a mobile device? You can generate responsive thumbnail images as navigation for your slider. 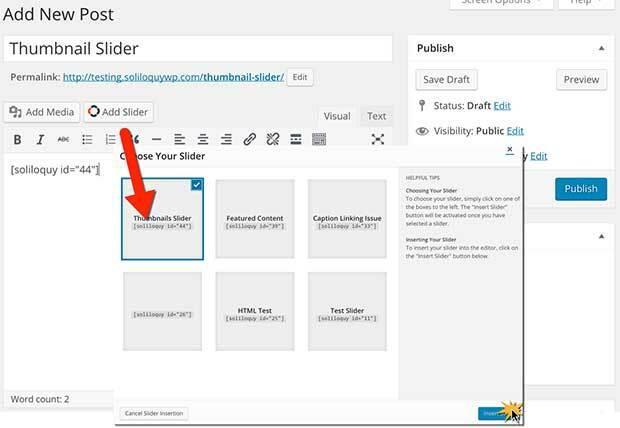 In this tutorial, we’ll show you how to add a slider with thumbnails in WordPress. To create a slider with thumbnails, you’ll need to follow these four simple steps. Step 1. Install and activate the Soliloquy Slider plugin. In order to install the Thumbnail Slider addon, make sure your license is verified before you proceed. Go to Soliloquy » Settings to verify your license key. Next, you need to install and activate the Thumbnail Slider addon. If you do not see it listed, select Refresh Addons. Start by creating a thumbnail slider. 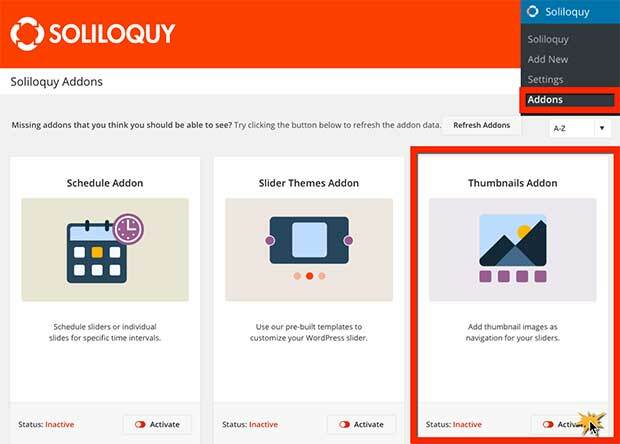 Go to Soliloquy » Add New to add a Thumbnail Slider type. Either select files from your computer or other sources to use images already uploaded in the WordPress media library. Then save draft or publish. After this, scroll down to the slider settings area. Then select the Thumbnails tab at left. Next, check the box to enable slider thumbnails. From there, you can customize the size and position of the thumbnails, as well as more options. Remember to save your settings and publish the slider. You’re almost done. Now it’s time to add your slider to either a post or page if you have not yet done so. Go to a post or page, click Add Slider and select your Thumbnail slider. Then publish or update your post / page. Finally, view your thumbnail live on your site. You’re done! You can now create your own thumbnail slider. 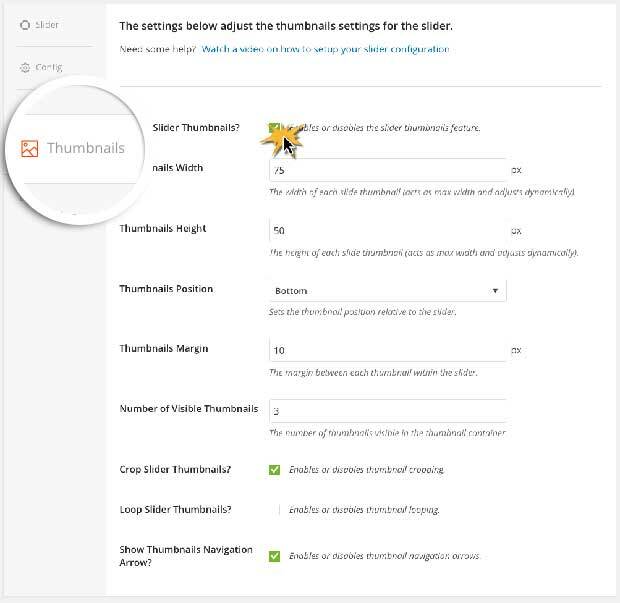 We hope this tutorial showed you how to add a slider with thumbnails in WordPress. If you need some more creative slider ideas, consider reading these articles.